Imagine having a steady influx of customers all day, every day, without having to lift a finger to find them. That would be pretty cool, wouldn’t it? Unfortunately, that isn’t the case for most small businesses — and that’s where lead generation comes in. Lead generation is the process of finding individuals or companies in your target market and converting them into potential customers with an interest in your product or service. In this article, we’ll cover three effective small business lead generation strategies, plus four ways to get those leads into your QuickBooks-integrated CRM. Why a QuickBooks-integrated CRM? Because time is money — so once those leads become paying customers, don’t waste time manually entering them into QuickBooks. There’s a lot of talk nowadays about engaging with leads on social media. However, don’t underestimate the power of good old-fashioned face-to-face networking. Attending industry conferences or meet-ups is a great way to find people who are interested in your product or service. In some industries, you can also reach prospective customers by hosting your own Q&A session. 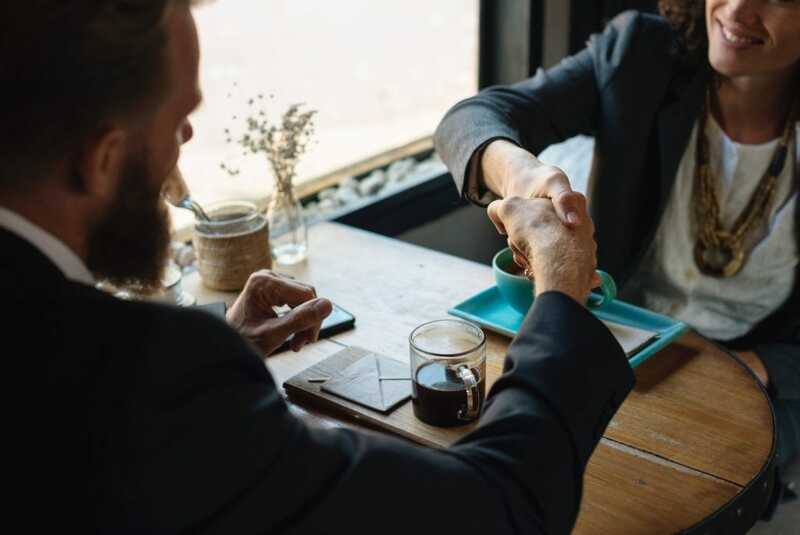 A great example is a real estate company, which could invite first-time home buyers to meet the company’s agents and ask questions about the buying process. When you do meet a new lead, don’t worry about taking (and immediately losing) their business card. The Method mobile app for iOS and Android makes it easy to add new leads and record their contact information in your CRM, even when you’re out and about. 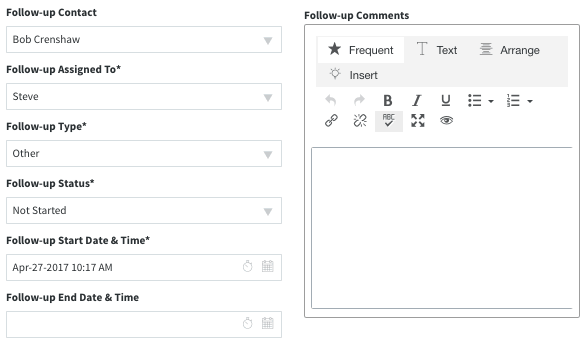 Method:CRM users: Use the Method app to schedule a follow-up for your new lead, so you remember to connect with them once you’re back in the office. In this day and age, having a website for your small business is a must. Considering that 81% of consumers do online research before making a purchase, you want to make sure your target customers can find you and see what you offer. Once they do find you, make it easy for them to get in touch with you! Providing your phone number, email address, and a contact form allows people to choose their preferred method of communication. When you receive an email from a prospective buyer, Method’s Gmail Gadget quickly shows you whether the sender is a known contact in your CRM. If not, go ahead and add them as a new lead, directly from your Gmail inbox — no tab switching necessary. Method’s web to lead form is another convenient option for capturing website visitors and converting them into leads. Not only does it take the pressure off your leads to guess what information you need from them, the leads are automatically logged in your CRM with no data entry required. Method:CRM users: Adding a custom field to your web form allows you to capture industry-specific information from your leads. For example, a real estate company might add a field asking leads to identify their preferred neighbourhoods. Creating valuable, industry-relevant content and offering it for free is a great strategy to strengthen your company’s reputation and build trust among prospective buyers. This may include hosting webinars, publishing white papers, or writing blog posts on topics that are important to your target customers. Regardless of the type of content, the key is to make sure the people who consume it don’t remain anonymous. By asking website visitors to provide a name and email before joining your webinar or downloading your resources, you’ll develop a pool of leads to follow up with. 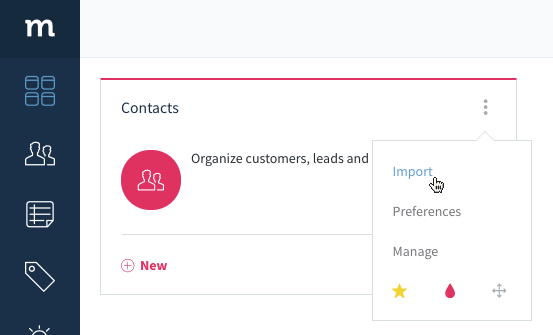 And with Method’s import tool, you can upload a spreadsheet of leads into your CRM in just a few clicks. Method:CRM users: Track which types of content bring in leads by creating custom lead sources, such as “Home Staging Webinar” for a real estate company. Lead generation is vital to increasing sales, and there are a lot of small business lead generation tactics out there. It’s important to experiment to find what works for your business — but regardless of how you acquire leads, Method:CRM is here to help. Getting leads into your QuickBooks-integrated CRM has never been simpler!